“Thank you for the opportunity to contribute to this debate. I’m going to concentrate on the importance of sites of special scientific interest, or SSSIs. As others have already noted, we are losing species at a frightening scale at the moment and, as the state of nature report states, one of the reasons for the loss of biodiversity is the decline of habitats. Wildlife needs room to prosper and the protected sites that we have do provide that. SSSIs are a natural treasure. They include some of our more striking habitats, from wetlands to sand dunes and from meadows to ancient oak woodland. Not only are they positive for our wildlife, but they also have huge economic value. Every pound spent on positive SSSI management brings an investment of £8, and anyone who has visited one of the RSPB sites on Anglesey, for example, will know just how popular they are with visitors, tourists and local people. They provide an opportunity to see a variety of wildlife in their own habitats. “I want to draw attention to two specific examples in my constituency that demonstrate the importance of investment in SSSIs in order to ensure that they are in the best possible condition for our wildlife. The first is the very positive news that ‘aderyn y bwn’ is breeding in Wales for the first time in over 30 years, and that is in the Malltraeth peatlands on Ynys Môn. There have been some examples of the bird being here in the past, but this is the first time they’ve bred for many decades now. The reserve was formed back in the 1990s with the aim of bringing the species back to Anglesey, and after a long wait and seeing a number of other at-risk species prospering, finding that this species had chosen to nest and breed there was a tribute to the hard work of the conservation team and a tribute to the activities of birdwatchers locally. “The second story of success is the nature reserve at South Stack, in the Holy Island Coast SSSI, which is supporting a number of habitats and species. 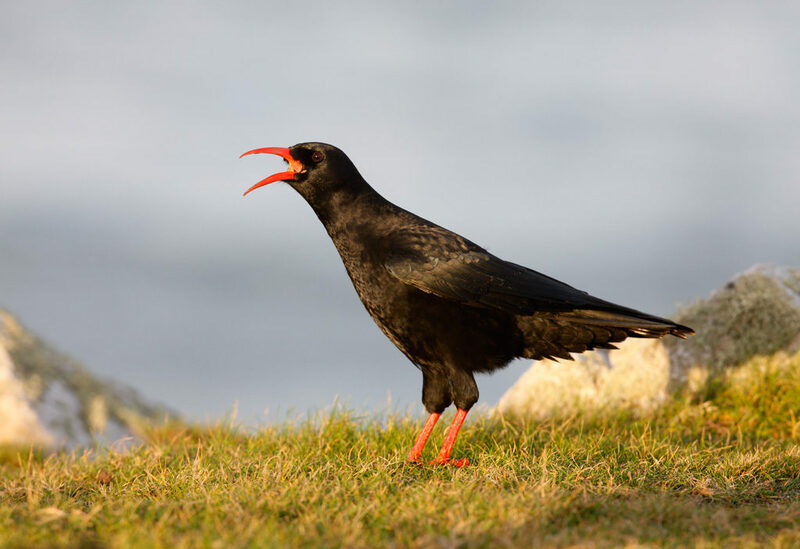 One of these is the red-legged chough. It’s very fashionable to be a champion for a species, and I was chuffed—please forgive me—to be chosen as a champion for this rare and wonderful bird. This bird has particular habitat needs that are far more specialist than some of its closest relatives, and that’s why the rocky shores of western Anglesey are ideal. Through management of these coastal grounds, then the numbers of these iconic species have been maintained.